The schools left standing have fought their way to the big dance through a series of qualifications tournaments held in Canberra and the surrounding region. Photos: Supplied by Brumbies Rugby. Year 5 and 6 students from St Bernard’s Primary in Batemans Bay will be tossing and turning in their beds on Saturday night, too excited to sleep as they prepare to travel to Canberra to showcase their skills at GIO Stadium on Sunday afternoon. St Bernard’s Primary will take on eleven other schools across Canberra and the surrounding region, aiming to be crowned the Brumbies Primary School 10s Champions. A total of 61 teams have been whittled down to a dozen who now get the chance to dazzle the crowd with their skills and athleticism in front of a big Super Rugby crowd cheering on the Brumbies later that afternoon. St Bernard’s won the local south coast competition beating out schools from Narooma, Bateman’s Bay and Moruya to get the chance to travel to GIO Stadium. 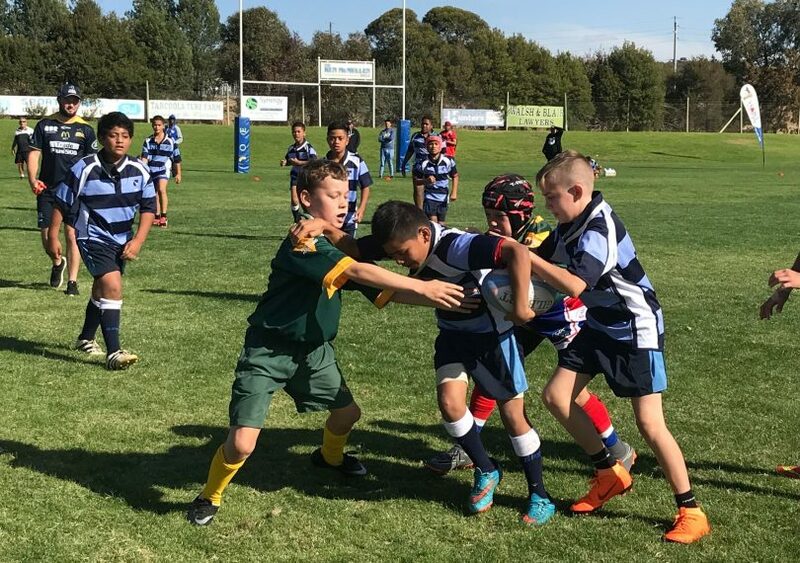 The schools left standing have fought their way to Finals day through a series of qualifications tournaments held in Canberra and the surrounding region. St Bernard’s PE teacher Angela Holmes said her boys were incredibly excited to play on the big stage. Ms Holmes’ team came from an array of sporting backgrounds, with the main desire to play with their friends before they head off to different schools. She was proud to see the way the team had grown and supported each other on their way to the final 12 teams. “I had a parent ring me yesterday and she told me how her son had changed in confidence, due to being part of this team,” Ms Holmes continued. “He now wants to play more and he now wants to choose rugby as his sport to play on the weekend. For me to see that growth in confidence and to see the kids be part of a team and active in sport is my reward. “The Brumbies Primary School Championships has really inspired these boys. To have these opportunities open to them and have a potential representative pathway for these young boys is rare for us. Country schools don’t normally get this kind of opportunity and their parents are very supportive to drive them to Canberra. There will be a strong contingent of Bateman’s Bay residents at GIO Stadium and Ms Holmes was excited to repay the good work Brumbies Rugby had done on the south coast. Teams from St Edmunds, Cooma North, Narooma, Marist, St Bernard’s, St Pats, Griffith, St Peter Pauls, Leeton and St Joseph’s will take the field at GIO Stadium on Sunday afternoon, commencing at 2 pm, aiming to be crowned the Brumbies Primary School Champions. 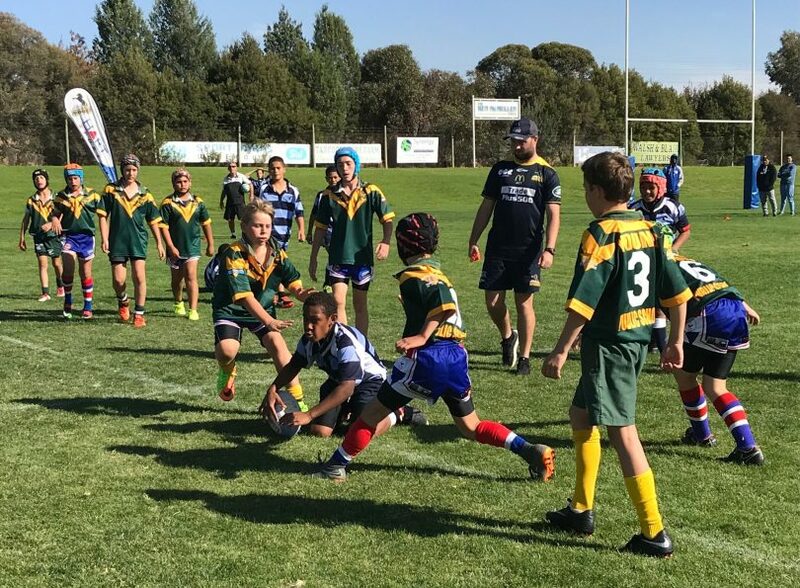 Brumbies General Manager of Community Rugby, Craig Leseberg, said the Primary School Championship was a great way to help grow community rugby. “The Brumbies are focused on growing the game, diversity, and sustainability across three different formats with 15s, 7s, and touch 7s,” Mr Leseberg said. “In terms of the diversity focus, we see a real opportunity in the women’s game, especially with the Super W, which has been a really exciting process for us in a sense that it creates a clear and visible pathway for aspiring young girl athletes. 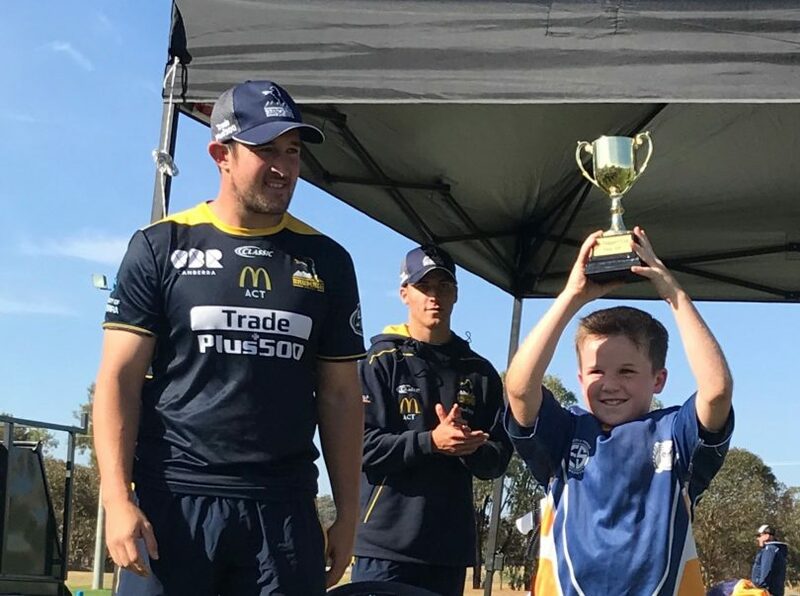 “We took all the Brumbies players out to a Gala Day in regional NSW in Cootamundra, and we had around 1,200 young players turn up, of which there were 300 young girls playing touch 7s. The Brumbies are playing the Sunwolves at home this Sunday (3 June), and with an early afternoon kick-off, this is an ideal family event. The Primary School Championships start from 2 pm, there will be plenty of pre-game entertainment with giveaways, face painting, a Junior Rugby Club march past, a photo booth, the Brumbies Autograph Alley, plus free sausage rolls for the first 2,500 people to the stadium! And, as an added incentive for you to join in the fun, by simply turning up you could be helping three local charities —OzHarvest, Lifeline Canberra and Give Me 5 for Kids. The Brumbies will donate $15,000 to these charities if 15,000 fans turn up to the game! Super Rugby Round 16 – Brumbies vs Sunwolves at GIO Stadium, Sunday 4:05 pm. Buy your tickets here. Tags Angela Holmes batemans bay Brumbies Primary School Championship Brumbies Rugby Craig Leseberg gio stadium St Bernard's Primary super rugby.